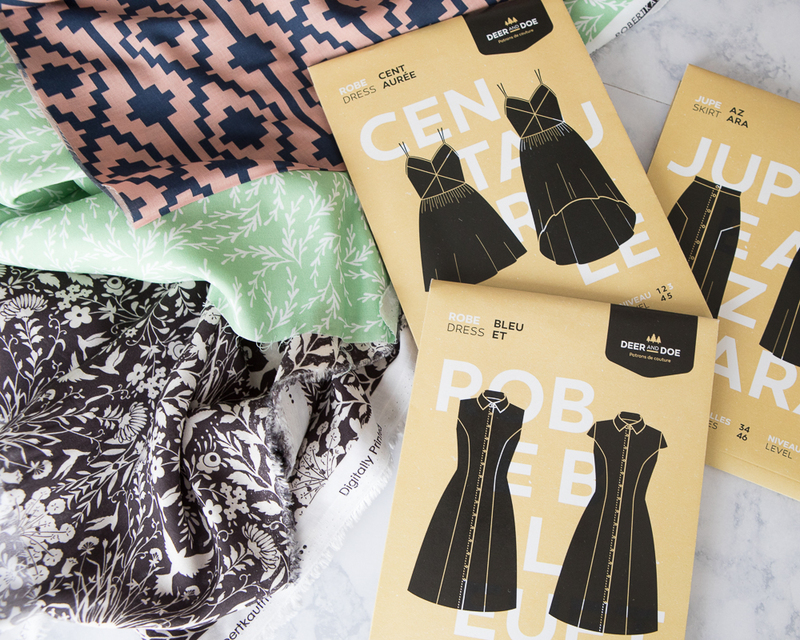 When Cottoneer Fabrics asked me if I’d like to sew up one of their fabrics, I was so excited to say yes! Cottoneer is a new US-based online fabric store – their official launch was just under a month ago on January 18th. When the owner contacted me about their upcoming launch, I was so impressed by the collection of fabrics offered through the store. You won’t be overwhelmed by the number of things listed, and I could honestly see myself making something out of each fabric in her shop. 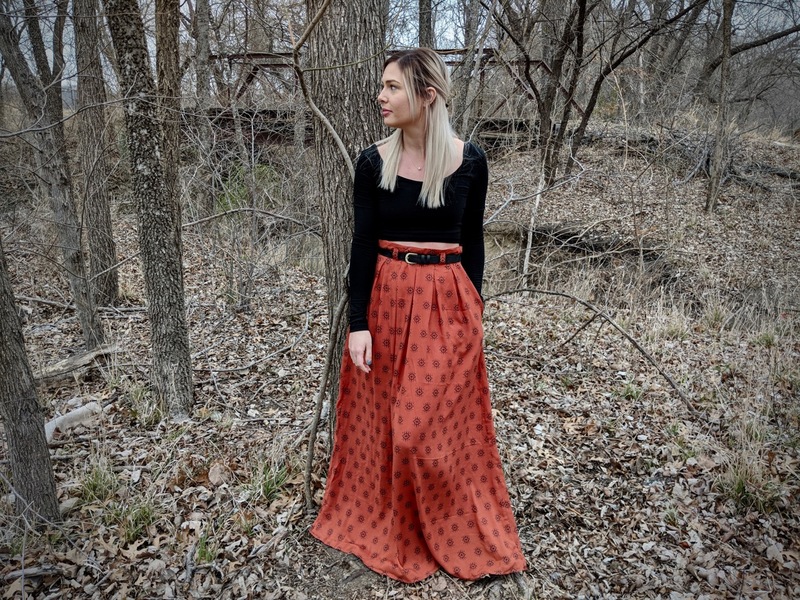 She’s got quite a lovely collection, and stocks some great basics (like pastel denims and stripey knits), as well as a number of lines through some of my favorite fabric manufacturers, such as Art Gallery and Cotton + Steel. You can quickly tell when browsing the shop that she’s thoughtfully selected each fabric she offers, which makes it so much more special. 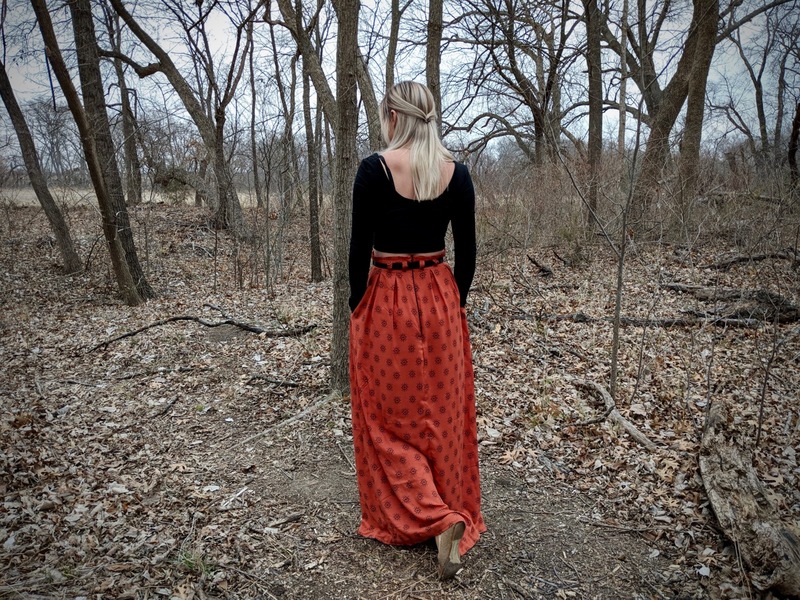 Sometime last year, when the Art Gallery / April Rhodes / Arizona fabric line launched, I fell in love with a maxi skirt made in this beautiful floaty rayon. It’s a color I don’t normally consider in my wardrobe, so I held off on purchasing it. 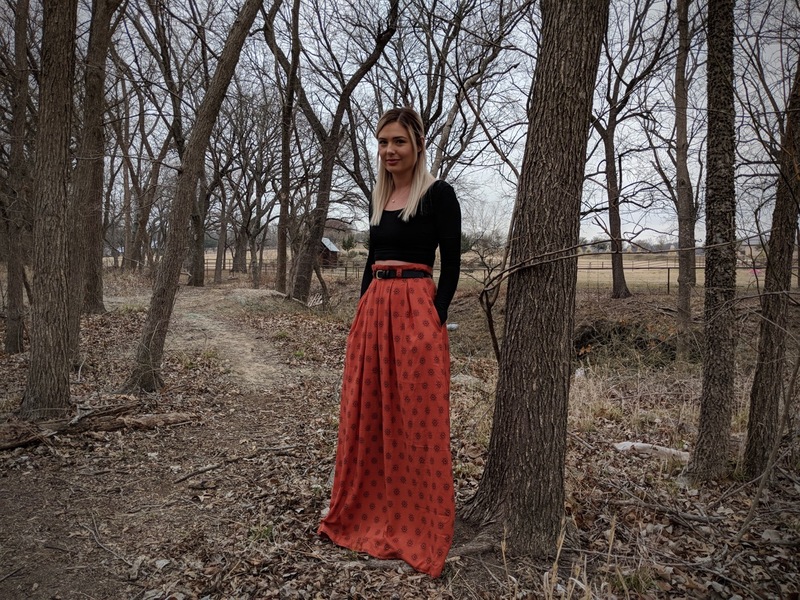 I knew when I continued to come back to this idea that I needed to make one!Although the Chardon is intended to be a shorter skirt with a good bit of structure, recommended for sturdier fabrics, I really felt like it would make a lovely maxi in this lighter weight rayon fabric. Though the inverted box pleats lend to shape and structure in the shorter, sturdier versions recommended, I felt like in a longer, lighter version, they would offer some fun and floaty volume. 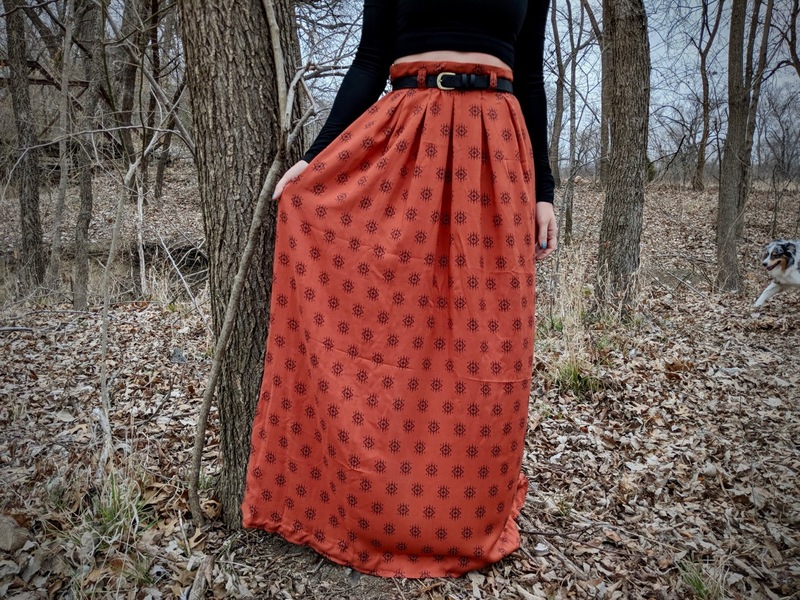 The skirt has two versions – A is a plain version with belt loops, B has no belt loops and a contrast hem band. I went with A – I envisioned the rayon giving a bit of a paper bag waist effect when cinched by a belt. According to the measurement chart, my 27-inch waist falls between a size 38 and 40. In order to best achieve the paper bag thing, I figured it was best to go with the larger option and sewed up a size 40. The only alteration I made to the pattern was to add a full 24 inches to the skirt length, which I then took out 3 inches from when hemming. 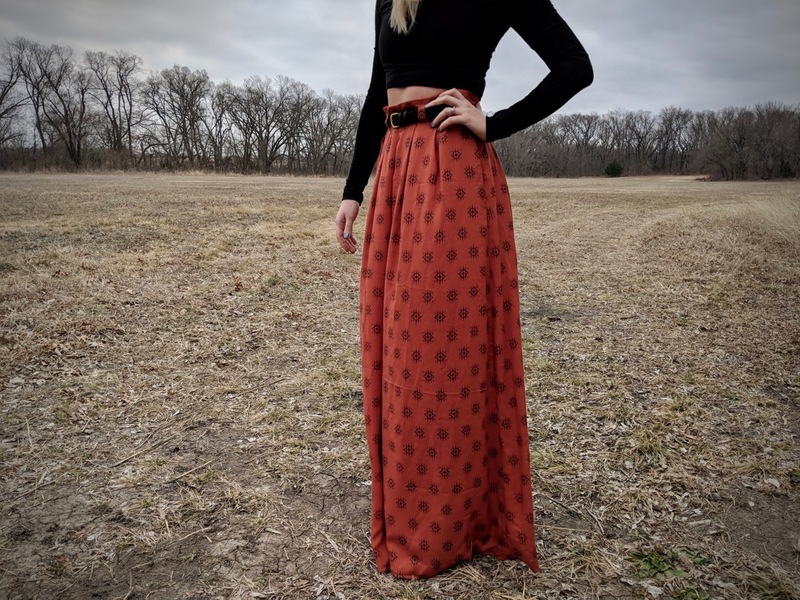 I’ve mentioned before that I am tall-ish (5’8”) and I like a VERY long maxi, so I wanted to be sure to give myself plenty of length rather than not enough! I succeeded. The skirt turned out a bit big in the waist – this may be because I’ve lost a bit of my Christmas weight, I may have been skewed by the paper bag waist idea, or I may have forgotten to look at the finished garment measurements. Probably a combination of the three. Either way, I will size down for my next version. In the meantime, I’m taking advantage of those belt loops and paper bagging it up! The fabric is exactly as I’d imagined. Floaty, soft, and beautiful. 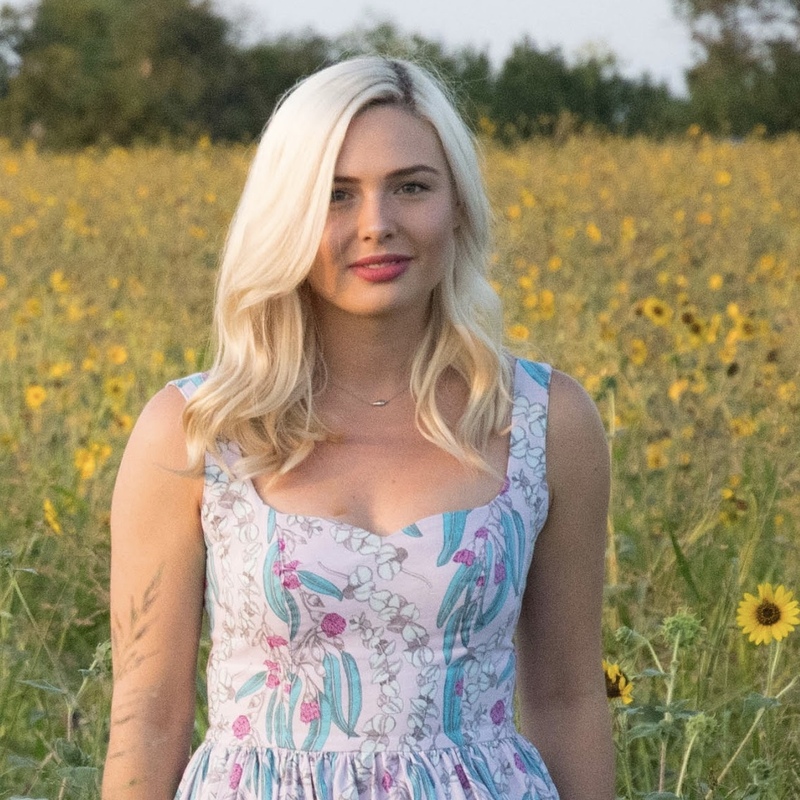 The color is a warm, rich tone that can work with a cozy sweater in the cooler months, but will also look lovely with my cream colored Ogden cami once the sun comes out to play in the Spring. I’m off to the beach in a couple of days, and am excited to wear this over a cute one-piece swimsuit for easy transitions. This will truly be a piece I can pull through the seasons with me. 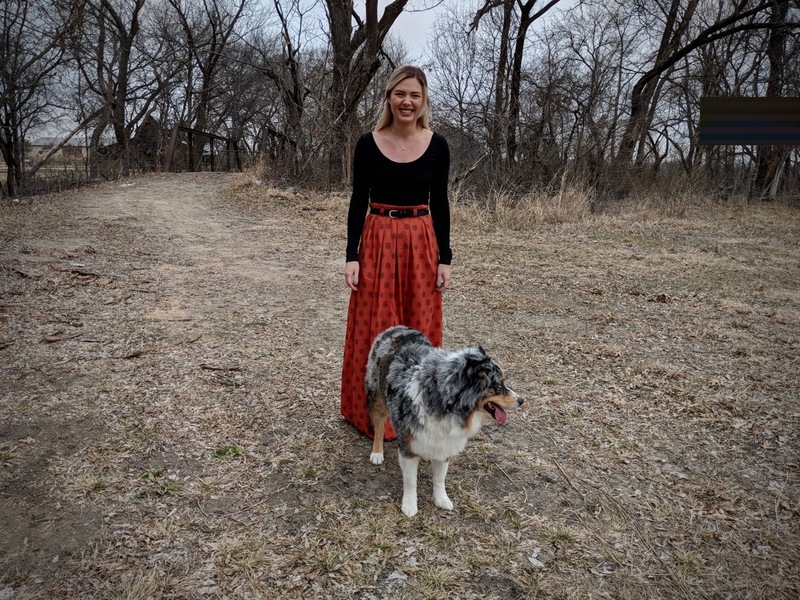 blog posts are always better if they include dogs. Cottoneer Fabrics and I have partnered up to give away 3 yards of your choice of rayon fabric – there are quite a few beautiful options, including those Rifle Paper Co. rayons from Cotton + Steel that we’ve all fallen head over heels for. You’ll also get your choice of Deer & Doe pattern from the shop! The Centaurée Dress is one of the next ones on my list! look at all those beautiful fabrics! Sign up for the Cottoneer newsletter by visiting the link in their Instagram profile. Comment on the above picture on Instagram and tag three friends who would love to win some rayon fabric! Your entries must be in by Monday, February 12th, 10am PST / 12pm CST to be eligible. I’m so looking forward to seeing more of the sewing community dressed up in Cottoneer’s lovely fabrics! I’m browsing through the shop again as I type… Dangerous! 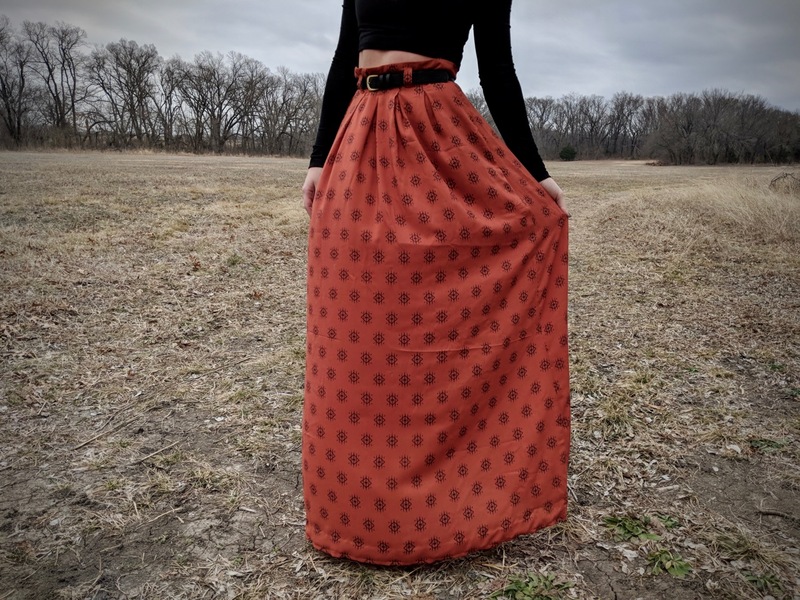 Though the pattern and fabric used in this post were provided to me by Cottoneer Fabrics, all opinions expressed are my own, as always!